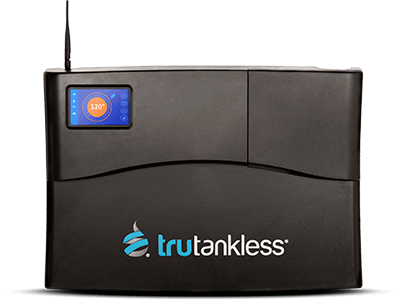 Introducing an innovation in water heating technology – trutankless. We’ve transformed the traditional, wasteful and bulky water heater into a sleek, space-saving tankless design that’s packed with cutting edge technology. Energy conservation and long term savings for you are what drive us, and our vision to use forward thinking technology to provide endless hot water for your entire home resulted in a product we’re very proud to offer. It’s a sophisticated solution that means something simple to you – endless hot water. At trutankless, Inc., we are highly selective when identifying opportunities that can achieve rapid growth and strong profitability to generate lasting returns for our shareholders. We are passionate about forward thinking technologies that make everyday life better for people and the environment. We look for passionate people with great ideas that have the potential to achieve rapid growth and profit. We focus on companies that can leverage our experience and benefit from synergies with our operating subsidiaries. News releases and supplemental company information. Review relevant press releases and news about trutankless, Inc. Pertinent stock information for trutankless. Inc. can be viewed here. Information regarding the trutankless, Inc. general annual meeting will be sent to shareholders of record. The team at trutankless, Inc. hails from a diverse background. Collectively, the team has vast knowledge and experience in building public and private companies in the cleantech, web-enhanced services and premium consumer products sectors. 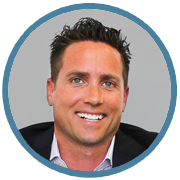 An energetic serial entrepreneur, Mr. Orr brings a wealth of strategic business development knowledge and expertise to trutankless, Inc. In 1998, Mr. Orr became a founding partner of bluemedia, Inc., one of the nation’s leading signage and large-format graphics companies headquartered in Tempe, Arizona. As the company’s Sr. Vice President of Sales and Business Development, Mr. Orr has led bluemedia’s impressive 28% annual growth rate and fostered the recent acquisition of Skyline Signs. In 2005, Mr. Orr and his partners funded another venture, Blind Society, an award-winning advertising and branding agency in Scottsdale, Arizona. Blind Society boasts an impressive client roster which includes the Arizona Cardinals, AT&T, Phoenix Coyotes, Four Peaks Brewery, Warner Brothers, Pixar Entertainment and Mojo Yogurt. As Founder and President of trutankless, Inc., Michael is directly involved in the day to day operations of the company, from business development and strategic decision making to overseeing sales and marketing as well as new product development. Michael helped lead the design team that created the award-winning trutankless water heater, which resulted in a series of advancements that were novel to the water heater business. Recently recognized as one of Arizona’s Top “35 Under 35” Entrepreneurs, Michael is committed to building trutankless into a dynamic brand known for quality and innovation. 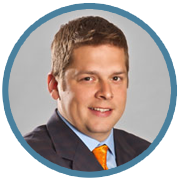 As Executive Vice President of trutankless, Inc., Jeffrey Mayhall is actively involved in the execution of investments, financing, recapitalizations, acquisitions, sales and corporate compliance. Most recently Mr. Mayhall founded and led Innovation Credit Corporation, an organization dedicated to financing, developing and marketing new innovative technologies and products. From 2006 – 2013, Mr. Mayhall served as the company’s President and grew Innovation Credit Corporation to become one of the largest international companies within its industry. Prior to founding Innovation Credit Corporation, Mr. Mayhall served as Director of Operations and General Counsel for a large commercial real estate development company. 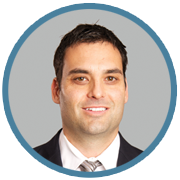 Mr. Mayhall holds a bachelor’s degree in psychology from the University of Toledo and a Juris Doctorate from the University of Toledo, College of Law. After graduating from Law School, Mr. Mayhall relocated to Arizona where he was admitted to the Arizona Bar and became licensed in the United State District Court, District of Arizona. At trutankless, Inc., our passion is to modernize tankless water heating by promoting energy conservation and long term savings with our revolutionary product for the benefit of homeowners, service professionals and consumers.